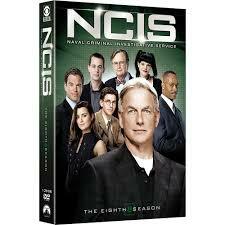 I have been a credentialed NCIS Agent for approximately eight years. Throughout that time, I have been assigned to Criminal Investigation, Counterintelligence and Counterterrorism activities in Hawaii and Japan (Iwakuni and Yokosuka). I am currently assigned to the NCIS Yokosuka field office as the USS Ronald Reagan Agent afloat. My job aboard the ship incorporates all aspects of the NCIS mission whereas I am responsible for the wellbeing of approximately 5,000 Sailors. I will deploy with the ship throughout the Pacific Theatre conducting multinational joint exercises and freedom of navigation of the sea patrols. I was born in Jacksonville, Florida and have a Bachelors of Arts (BA) in criminal Justice and a Master's in Business (MBA). I speak Japanese and am married to a lovely Japanese Kyushu woman who is currently pregnant with our first child.